Plus500 is an online broker with an easy accessible platform, where you can trade CFD stocks / shares, Forex, Indices, Commodities, ETFs and also Options. 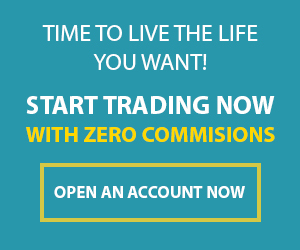 The Plus500 trading platform is a powerful CFD trading tool that let’s you trade the world’s most popular financial instruments at just one place. You can open an account in just 5 minutes. So let’s get started with this Plus500 tutorial. What are the benefits and disadvantages of Plus500? What are the benefits and disadvantages of Plus500 for trading stocks? Why have I chosen Plus500? Plus500 is in my opinion one of the easiest and most reliable platforms that you can trade with and I have tested a lot of online brokers. In this article I will explain to you in detail on how to open an account in Plus500 and also on how to use it. Read our Plus500 review about them to see more reasons. Each section consists of the topics that were stated above. The steps are similar, but the buttons and areas to click could be on a different spot, so the screenshot per section will be different. So the first question is important, how do I open an account in Plus500? Thankfully, opening an account is easy, but there are a couple of steps that you have to take. First of all, decide on how you want to trade. The advantage of downloading and installing the software is that it is more reliable, as it has a better response time when you install the software compared to using the webtrader. A swifter response time can help in limiting losses, but it really depends on how you trade. Using the mobile app: If you’re on the road a lot, the mobile app could be your best option. It has a slighty different interface, but is as quick and fast as the software. I personally love the app as it makes it possible for me to trade anywhere I want where I have an internet connection. To download the app, just look for Plus500 in your app store. What does Plus500 do with my money?